Home › Home News › Our exciting merger news! 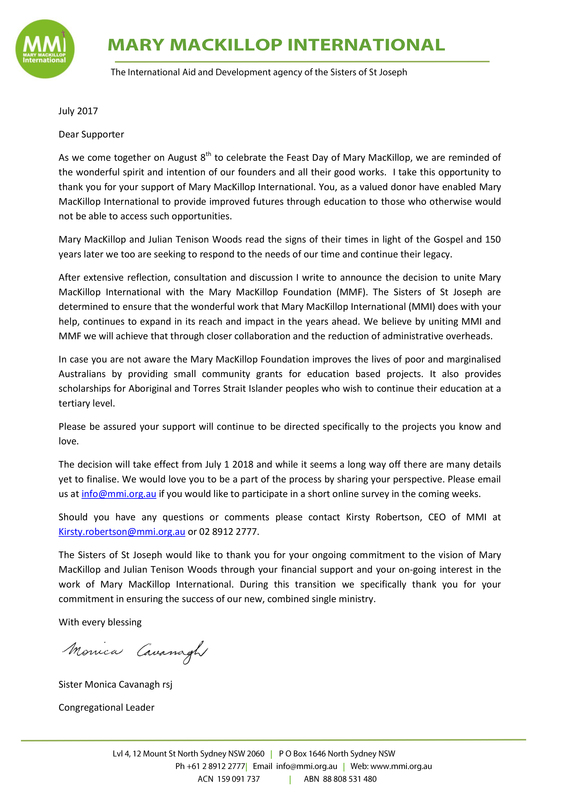 Below is a letter from the Congregational Leader of the Sisters if Saint Joseph, Monica Cavanagh explaining the reasons behind this decision. Please feel free to contact me on 02 89122777 or [email protected] if you would like to ask any questions, offer your insights or just have a chat about the merger.